Ms. Wilderotter has served on the boards of directors of Costco Wholesale Corp. (NASDAQ: COST), a wholesale retailer, since October 2015; Hewlett Packard Enterprise Co. (NYSE: HPE), a technology company, since February 2016; and Cadence Design Systems (NASDAQ: CDNS), an electronic design automation software and engineering services company, since June 2017. She was previously a director of Xerox Corp. (NYSE: XRX), a technology company, from 2005 to October 2015; DreamWorks Animation SKG Inc. (NASDAQ: DWA), an entertainment company, from October 2015 to November 2016; The Procter & Gamble Company (NYSE: PG), a consumer products company, from 2009 to October 2015; and Juno Therapeutics, Inc. (NASDAQ: JUNO), a biopharmaceutical company, from November 2014 to March 2018.
investment function. EMC’s M&A deal pace has averaged about $2B per year, the venture investment pace is $50-$100M per year. Prior to EMC Scott was a General Partner at Frazier Technology Ventures. Prior to FTV Scott was Vice President and Managing Director at Intel Capital. During this tenure at Intel Capital he managed the teams responsible for investing in support of the business units responsible for more than two thirds of Intel’s revenue. During Scott’s years at Intel and prior to joining Intel Capital in 2000, he was the general manager for several business units including the Internet Media Services Division and the Personal Conferencing Division, as well as the marketing director for the OEM Computer Systems Division. Before Intel, Scott worked in product marketing at Apple Computer and at two early PC industry startups. Scott received his MBA from Stanford University's Graduate School of Business in 1988. He earned his undergraduate degree from the University of California, Santa Cruz, in 1981, where he studied economics and computer science. 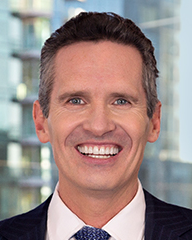 John Hinshaw is the Chief Customer Officer for Hewlett Packard Enterprise. In this role, he leads the strategic accounts and strategic alliances organizations and is responsible for generating growth with key customers and alliance partners. He also leads the customer advocacy function, which ensures our customers get the best experience interacting with Hewlett Packard Enterprise, as well as the information technology and cyber security functions for the company. John joined Hewlett-Packard in 2011 as the Executive Vice President of Technology & Operations and led that organization until the formation of Hewlett Packard Enterprise in November 2015. John is a member of the board of directors of The Bank of New York Mellon, where he serves on the Technology, Risk and Human Resources and Compensation Committees. He is also a member of the board of directors of DocuSign where he serves on the Audit and Nominating and Governance Committees. John also serves on the board of directors of the National Academy Foundation, which helps 100,000 high school students be college and career ready. John and his wife, Julia, have established a foundation with a focus on education, health, wellness and other charitable needs. John holds a Bachelor of Business Administration in computer information systems from James Madison University. decades of corporate finance, accounting, growth strategy, and IT management experience to DocuSign’s board. In his twenty-three years at Genentech, Lavigne led the company’s financial, corporate relations, and information technology groups as revenues grew from $40 million in 1983 to $300 million in 1988 when he became CFO to more than $6.5 billion in 2005 when he was named ‘Best CFO in Biotech’ by Institutional Investor. Lavigne is a member of the board of directors of Accuray, Inc. (chairman of the board & Compensation Committee), Allergan, Inc. (member of the Audit and Finance & Science and Technology Committees), BMC Software (chairman of the Audit Committee & member of the M&A Committee), Depomed, Inc. (Audit Committee member), NovoCure (Audit Committee chairman) and SafeNet, Inc. (Audit Committee chairman). Previously he was a director and chairman of the Audit Committee of several other public companies including Arena Pharmaceuticals, Equinix, Kyphon, and Xenova. Lavigne is also part of the Pacific SW Audit Committee Network of Audit Committee Chairs and Deloitte's Life Sciences Advisory Board. high-growth Internet companies that have achieved rapid adoption and scale. 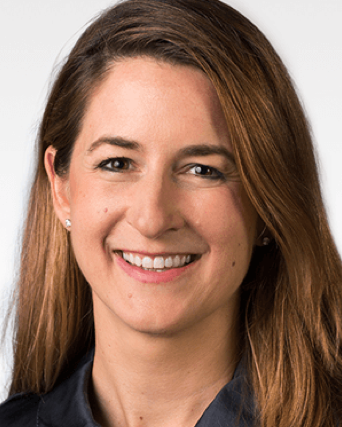 Mary serves on the board of Square and LendingClub and is actively involved in KPCB’s investments in Twitter, Groupon, Legalzoom, Waze, 360buy.com, Spotify, Jawbone, One King's Lane and Trendyol. From 1991 to 2010 worked at Morgan Stanley and served as managing director and research analyst. Since beginning her career as a securities analyst in 1986, Mary has focused on discovering and understanding emerging technology trends, building relationships with visionary entrepreneurs and supporting category-defining companies during their critical phases of market adoption and growth. A prolific writer, Mary is the co-author of the industry-defining books The Internet Report (1995) and The Internet Advertising Report (1996). She is also the co-author of The Internet Retailing Report (1997), The Online Classified Advertising Report: It’s About Search/Find/Obtain (SFO) (2002), The China Internet Report (2004), The Mobile Internet Report (2009), and The Technology IPO Yearbooks. Beyond technology, Mary (and Liang Wu) created USA, Inc. (2011), an award winning, non-partisan report / video that looks at the U.S. government (and its financials) from a business perspective. Mary’s reports (including her annual Internet Trends presentations) are widely read around the world. While at Morgan Stanley, Mary covered companies that created more than 200,000 jobs over the past two decades while the companies increased their collective market value by more than US$900 billion, as of February 2011. These companies include Activision, Adobe, Alibaba, Amazon.com, Apple, Dell, eBay, Electronic Arts, Google, Intuit, Microsoft, priceline.com and Yahoo!. Mary is credited with having a deep understanding of what makes businesses succeed and fail. companies benefiting from the move to software-as-a-service and the wider transition of enterprise computing to the cloud. He currently sits on the boards of Arena Solutions, Axcient, Box, Boundary, DocuSign, ExactTarget (ET), Hubspan, Livescribe, Lumension Security, and Vantage Media. Prior investments include Omniture (IPO:OMTR; Acq: ADBE), Net Genesis (IPO: NTGX; Acq: SPSS), ScanSafe (Acq: Cisco), Frontbridge (Acq: MSFT), Zone Labs (Acq: CHKP), Placeware (Acq: MSFT), OuterBay (Acq: HP) among others. Rory was named to the Forbes Midas List in 2012 and was also named one of the “power players” of venture capital by AlwaysOn in 2011 and 2012 . Prior to ScaleVP, he was the CEO of a manufacturing company in the UK. Rory holds a BSc from the London School of Economics. Communications and Earth Class Mail. Prior to Ignition, Jonathan spent 13 years at Microsoft, most recently as general manager of the Windows CE Intelligent Appliance Division, where he was responsible for developing new WinCE products, product marketing, business development and long-term planning for the Windows CE platform, as well as the retargeting of the Microsoft's PocketPC effort. Jonathan led the marketing and business efforts for Windows 3.1, 3.11, Windows NT 3.51, NT 4.0, BackOffice 1.0, Windows 98 and NT 4.0 on the Desktop, and finally all of Windows CE including embedded, Pocket PC, Auto, Phones, Set-top, Games, etc. Jonathan received his BA in history from the University of Washington where he was also student body president. Cynthia has served as Senior Vice President and Chief Financial Officer of Pivotal (NYSE:PVTL) since May 2016, and is responsible for leading worldwide finance and operations. leadership to the DocuSign board. Throughout his nineteen years at Symantec, the global leader for security, backup, and availability solutions, Salem served in leadership roles as COO, group president of worldwide sales and marketing, president of consumer products, and others. In March 2011, Salem was appointed to President Barack Obama’s Management Advisory Board and also currently serves on the board of Fireye, Atlassian, Clari, Cloudgenix and ForeScout. Before Symantec, Salem was president and CEO of Brightmail, the leading anti-spam software company acquired by Symantec in 2004. He was also SVP of products and technology at Oblix Inc., and VP of technology and operations at Ask Jeeves Inc. In 2010, Salem received the Estrella Award by the Hispanic IT Executive Council which recognizes individuals for their achievements in the IT industry and the community. He was named 2007 Corporate Executive of the Year by Hispanic Net, as well as 2004 Entrepreneur of the Year by Ernst and Young. Salem received a bachelor’s degree in computer science from Dartmouth College. Pete became a founding partner in Jackson Square Ventures in 2011 where he invests across the B2B Saas and Security landscapes. With more than 20 years' experience on leadership teams of successful, high-growth information technology companies, Pete applies his background and perspective to helping entrepreneurs and management teams form, build & rapidly scale successful businesses. Previously, Pete was with Sigma Partners which he joined in 2002 following 10 years at Cisco Systems as senior vice president and CIO, and founder of the Internet Business Solutions Group. During his tenure from 1992-2002, Cisco achieved wide recognition for early and aggressive use of the Internet, e-commerce and information technology. During Pete's time at Cisco, the company experienced explosive success, growing from $200 million to $25 billion in annual sales run rate. Prior to Cisco, he spent 11 years at Apple Computer. Pete was named four times to the CIO 100 by CIO Magazine, selected as one of "The 25 Most Powerful Executives in Networking" by Network World and featured in four Harvard Business School case studies on the successful use of information technology in the enterprise. He has often been quoted in articles on IT and eBusiness in Fortune, the Wall Street Journal, Business Week, the Economist, the New York Times, Information Week, CIO Magazine and many other publications and books. Pete has been a keynote speaker at more than 50 industry conferences on information technology and the internet.